I am the accountant here at Chadoak Plumbing and Drainage. 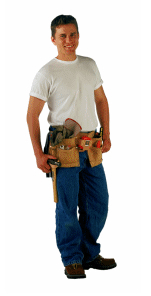 We have used Payperwork and the earlier version”Tradesman” since 1996. I have had wide experience with other accounting programs such as Quick Books, Sybiz, Landmark and MYOB .Payperwork is an excellent accounting system, in particular for the Construction and Building Industry. I find the GST in Payperwork takes away the pain of collecting data for accurate reporting on the BAS returns. In addition, provides good accountability to the Taxation Office. The Multiuser version allows our accounting, quoting and contract staff to share vital information from various geographic sites. I write this reference for PayPerWork with pleasure. What I like most about PayPerWork is the system is reliable and is constantly updated to cope with ever changing needs, both in Computer hardware and software such as Microsoft. As an example when GST was first introduced PayPerWork got it right the first time whereas some of my other contracts that were using MYOB or Quicken had data loss and could not access support from MYOB or Quicken. Also the level of support and advice I get is prompt and detailed. In particular when computers crash. I have found the staff to be committed to their customers and achieve a high system standard. Above all Payperwork staff have the ability to communicate with tradesmen. In particular at training sessions from time to time. Therefore I have no hesitation in writing this reference.